Red Pandas are one of my favorite animals, they are so fuzzy and do adorable things! 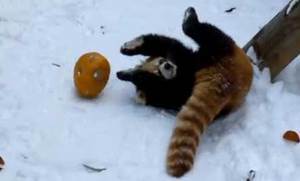 Red Pandas enjoy the snow, and I guess they also enjoy playing with pumpkins! I thought it fit this post’s theme! 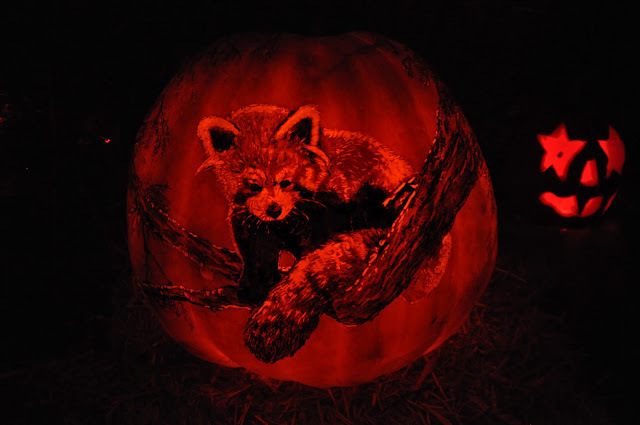 As a guinea pig I have not tried to carve a pumpkin before, but it seems fun.